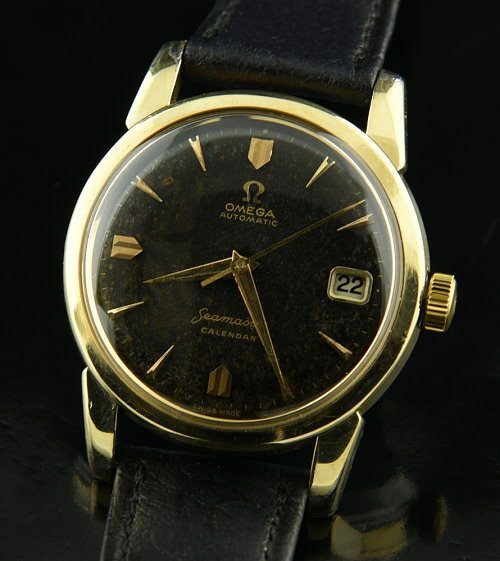 This is a 1956 OMEGA SEAMASTER CALENDAR having a completely original and uncommon black dial with original Dauphine hands and gold toned markers. The 34mm. gold capped case with steel snap back case looks excellent. The crystal and winding crown are both signed OMEGA. The caliber 503 automatic winding OMEGA movement was just cleaned and is accurately keeping time. 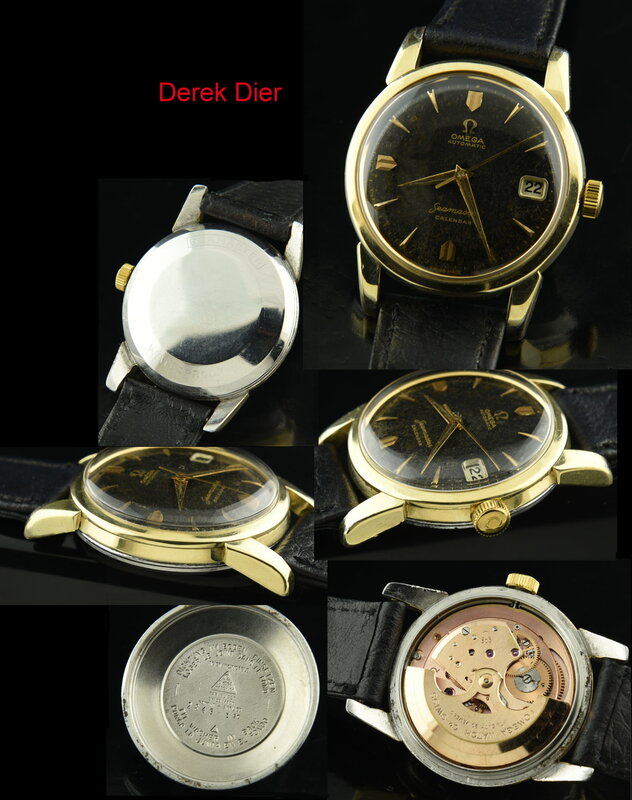 I do stress-finding original black dials is quite uncommon…added to this, Seamaster calendars are also uncommon! Just $1195.